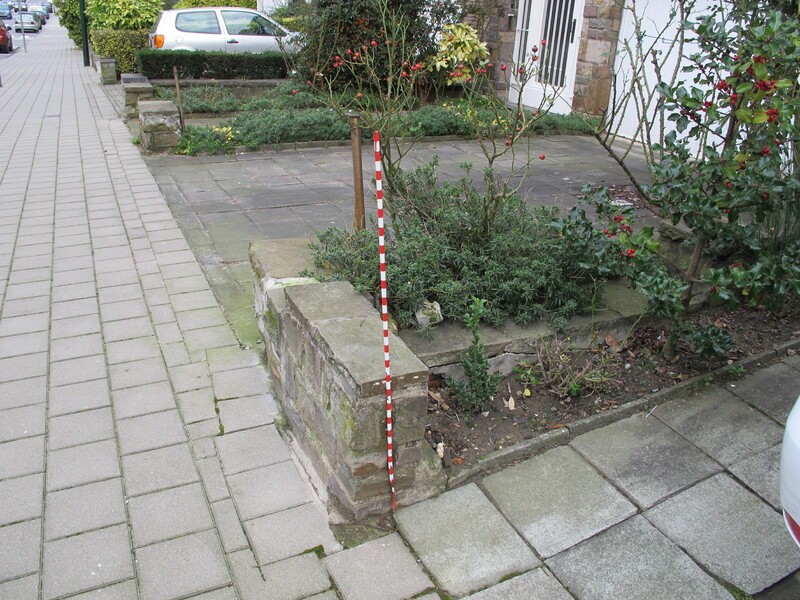 A common problem: how to exit ones driveway without hitting those pesky big stones which are protecting the corners of your garden? 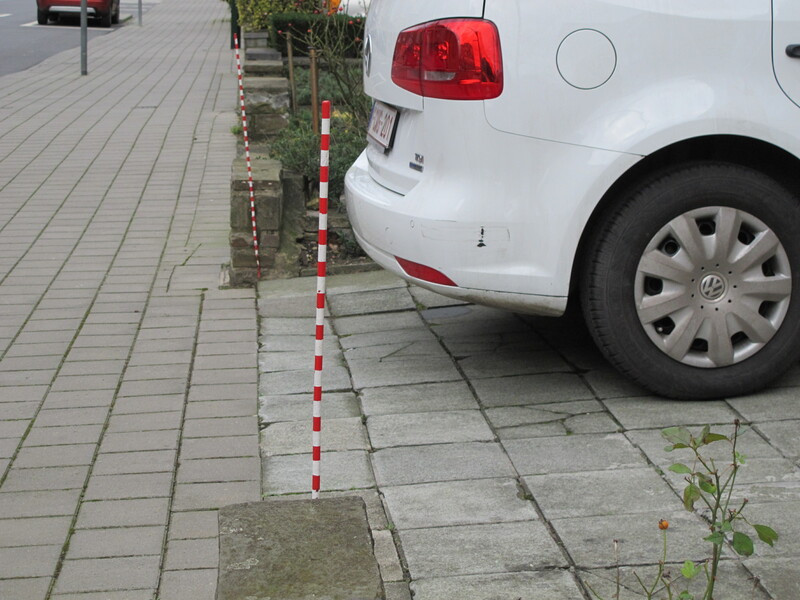 A simple solution: install a marker that is high enough to be seen from inside the car. This one on Avenue Charles Woeste is elegant and efficient at the same time.